Very very excited to announce that I’ll be teaming up with Neiman Marcus for a fashion-themed evening of art and inspiration at Phillips after 5 next month. The event is focused on the interplay of inspiration between minimalist painter Robert Ryman and a one Jason Wu. Wu drew inspiration for his Fall 2010 collection for TSE from Ryman’s work – of which neutral colors and materiality are hallmarks – so it makes sense for Wu to explain that for this collection, he wanted to consider TSE’s cashmere as the ultimate canvas (isn’t it, though!). Please see awesome comparative slideshow here! WHEN: Thurs., August 12, 5–8:30 p.m.
WHAT: Designer Jason Wu cites Robert Ryman’s paintings as the inspiration for his Fall 2010 TSE cashmere collection. For one evening, models act as living works of art in the Ryman exhibition, bringing Wu’s designs face-to-face with their fine art inspiration. A video of Wu’s fall 2010 ready-to-wear runway show is on view in the café, and a scavenger hunt leads visitors through the museum, collecting fashion and fine art facts for a chance to win prizes. The program is part of Phillips after 5, a lively evening of art and entertainment with food and cash bar. COST: Due to the popularity of Phillips after 5, advance reservations during special exhibitions are encouraged to insure admission: $12 for adults, $10 for visitors 62 and over and students, free for members and visitors 18 and under. Reserve online until 12 hours before the event at www.phillipscollection.org/calendar or 202-387-2151. A woman stepped into a Metro subway car over the weekend wearing a long, simple white column dress that appeared to have been made out of a sheet. 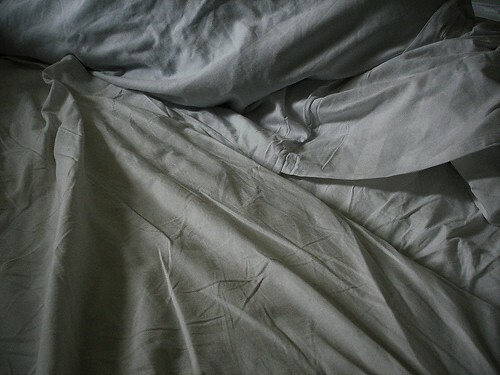 It was as if she’d woken up next to her lover, gathered the bedsheet about her like women do only in movies to stand up, but then continued — pausing to wrap her hair in a purple headscarf — out the door and down, underneath the street. It struck me as incredibly chic, modern, and a bit mysterious, and I haven’t been able to get it out of my head since. I kick off “Intern Fashion Week” on the Washington Post’s Campus Overload blog with some rules of thumb for our city’s interns. I’m pretty proud of the “cardigans, not Kardashians” bit. Look out for advice from other bloggers throughout the week. Our intern at work sounds like Gina from Empire Records, so naturally I told her she needs to sing Sugar High at some point this summer. Such a great song (the real version, kids…), to turn up and flail around to while in your car or in your room getting dressed. Not Dead + Three Favorite Dresses. Your incredibly delinquent fashion blogger here, reporting for duty. Thanks to the number of you who wrote me, begging me to come back/making sure I wasn’t dead-in-a-ditch-somewhere. I have no real excuse for my absence other than overall busy-ness with work. I promise to be better, which for me means not obsessing over making a post long or super newsy, but sharing this site as more of a visual diary of fashion and whatever else I find interesting. Anyway, enough apologies and promises. Let’s kick things off with some fun dresses! I’m not one to post many personal style shots, but I can’t resist showing you three amazingly gorgeous dresses I’ve worn recently(ish) to events at work and around town. This is a silk Mischen dress from Gilt Groupe that I wore to Washington Life’s Young & the Guest List party. I love the shot of bright coral with that peachy pink and bone neutral. I’m loving long dresses and skirts lately – the look is certainly enjoying a renaissance, thankgawd, effing minis…- and would love to style this dress up to wear semi-casually, too. Another Mischen dress! This is a closet favorite at the moment, due in no small part to the alterations I had done by my all-time favorite seamstress gurus, Kristen and Erin of ReVamp (out of an apartment in Shaw, for now). Both work at Treasury when they’re not tailoring and repurposing. If you love something, have it tailored. 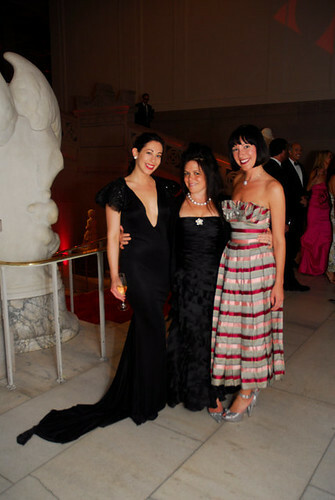 Speaking of fit, observe the dress I wore to the Corcoran Ball, made for me by local designer Taimur Baig. The dramatic molded shoulders were hand-embellished with jet beads and feathers, and the overall look was inspired by his Spring/Summer 2010 moth+butterfly themed collection. Yes, we do have this level of design talent in this town. * who’s that girl with the dark Uma Thurman bob and awesome taste in dresses? My colleague, Kristin!